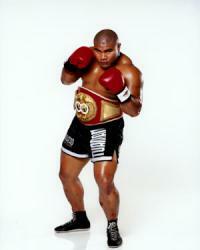 Looks as though David Tua’s demolition of Shane Cameron has set him up for at least one more big payday. To ensure he gets that next big cheque, Tua appears, at time of writing, to be declining an opportunity to fight Chris Arreola in a major US television showcase set for early December. His likely next opponent will be a washed up Hasim Rahman, in Auckland. When last heard of in February this year Rahman had been talking about launching a new career, on the mixed martial arts circuit. 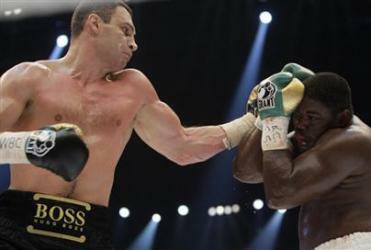 So, even if Tua can pick his opponents in a way that gains him another title shot, we would be in for a replay of the Lewis fight, with Tua once again unable to get close to Vitali K. a guy vastly superior in height, reach and boxing skills. Routinely, the Summer Olympics get slagged for being driven by the forces of commerce and nationalism, and for being hopelessly big and bloated. Rather than downsize though, the IOC is always under intense pressure to expand the array of sports for which medals are on offer, and the subsequent juggling act is never pretty to behold. The outcome of the latest round is that golf and rugby sevens will join the Olympic roster at Rio in 2016. These will be the first new sporting codes added since taekwondo and the triathlon got added to the Sydney Games in 2000, and their entry has been made possible after softball and baseball were dropped from the London Games in 2012. Well, both the new codes could argue they have historical ties to the early days of the Olympics. Distant ones though. A gold medal for golf was last handed out in 1904, and 15 a side rugby was last played at the Paris Games in 1924. Now rugby is back, and supposedly this will help to publicise the game internationally. Which may prove confusing, since the Games have greenlit rugby only in its abbreviated seven a side form, with two competitions – men and women – that will involve twelve teams. Golf was approved 63-27 with two abstentions, but rugby proved a very popular choice around the IOC table, with an 81-8 vote in favour, with one abstention. With golf and rugby added, the Olympic Village will see a large influx of athletes : 168 with rugby and 120 for the golf. Surely with the Olympics, it should be clear by now that less would actually be more. Not much has changed in that respect. Even during the early days of the Olympics, almost anything could qualify as a valid code. It is amazing to recall for instance, that between 1912 and1948, an Olympic gold medal used to be awarded for art. Eventually, art got expelled from the Olympics not on any sensible grounds – but because the IOC finally decided in the 1950s that artists were really professionals, and thus incompatible with the cult of pure amateurism that was being promoted by the IOC’s tyrannical president of the day, Avery Brundage. The subsequent sop to art has been the so called ‘cultural’ expressions held at each Games. At Rio, at least this should provide the Brazilians with a showcase for their national martial art, capoeira. Rugby has even played a small supporting role in the history of art at the Olympics. 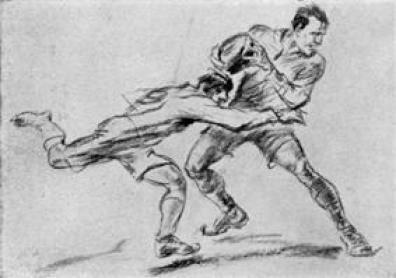 Four years after rugby was last kicked out of the Summer Games, the art gold medal at the Olympics in Amsterdam in 1928 was won by Jean Jacoby of Luxembourg, for a drawing called “ Rugby” (pictured left). Since he’d also taken out the art gold medal in 1924, this means that Jean Lucien Nicholas Jacoby has been the most successful artist in Olympic history. Over the next few years there will be a lot of sporting mega-events competing for the tourist dollar. The football world cup in South Africa next year, the rugby world cup in 2011. Quite clearly, Brazil is going to be the mecca of international sport during the coming decade. The Olympics decision in favour of Rio de Janeiro sits in tandem with the prior decision that twelve cities in Brazil will host the 2014 football world cup, with the final to be held at the Matacana Stadium in Rio. On paper, you could have argued that Madrid had a more impressive Olympic bid. Yet the IOC policy preference of rotating the event around various continents virtually doomed the Spanish effort, given that the 2012 Games were being held in London. A similar proximity in time to Beijing 2008 would not have helped the other main contender, Tokyo – which had shared the lead with Rio in the IOC’s last bid rankings in March. Chicago, with or without the Obamas, was never really in the hunt. Nor will Rio’s bid be free of the usual Games paradoxes. Brazilian President Lula, state governor Sérgio Cabral and the young Rio mayor Eduardo Paes for instance, all declared their determination to improve public transport, clean away the external signs of crime and poverty and generally transform Rio in 2016 into being the first truly green Olympics. In that respect, the addition of golf to the Olympic agenda could hardly be more ironic. No other sport is as damaging to the environment – in terms of excess water use, chemical run-off, and displacement of communities and forestry. Is this a sport that a greening world should want to encourage? Not to mention the social stratification that has always been mirrored in the cost of access to the sport itself, in developed and developing countries alike. Gender bias remains rife. Even in some top American venues – such as Augusta National – women remain excluded.